I loved this post over at Shae Has Left the Room last week, about the trivia tidbits and larger facts that various young adult authors learned from their childhood reads. Inspired by the complete list of books I read in seventh grade that resurfaced in my life around the same time, I thought this would be a fun recollection. 1. How to Eat Fried Worms by Thomas Rockwell taught me that you can cut a worm in half and, instead of killing them, you will then have two live, mini worms who are no worse for wear and can go on their merry separate ways. 4.The Sword of Truth series by Terry Goodkind taught me that, apparently, getting stabbed in the kidneys is the most painful way to die. So painful that you can’t scream, so it’s therefore an effectively quiet murder tactic. I shared this fact while my two new college roommates and I were tucked into our beds having late night get-to-know-you sleepover talk during freshmen orientation week. My roommates like to retell the story that they were afraid to fall asleep that night, for fear that I might stab them in the kidney’s while they slept. I swear, though, that the fact applied to the conversation, somehow! I wasn’t randomly sharing secret murderous thoughts. Though it probably was a bad first impression, since they didn’t know me at all yet. Anywho, everyone survived, we all became amazing friends, we actually roomed together all four years (so they must have felt safe), and they understand the strange quirky directions of my brain now. 5. Tangerine by Edward Bloor taught me that being legally blind didn’t necessarily mean you couldn’t see. I had thought blindness always meant complete darkness before then. 6. The Princess Diaries by Meg Cabot taught me that people, for fashion sake, have been known to shave off their eyebrows and get fake, perfectly-shaped eyebrows tattooed on in their place. This is a thing people do! [shudder] Oh, Grandmere. 7. The Witch of Blackbird Pond by Elizabeth George Speare taught me that whether or not a girl could swim used to be a test for witchcraft. I recall being very alarmed, asking my mother what would happen to the girls who couldn’t swim. “They would drown. But they were ‘proven innocent’ so her name was cleared, even though she was dead.” I also recall thinking this was ridiculous because I was an excellent swimmer…thanks to swim lessons, not magic. 10. The Dear America/Royal Diaries/I Am America series taught me that: Hawaii had a royal family before it became a state, that children used to be captured by Native American tribes and raised as their own until they happily assimilated, that there was a terrible assimilation process Native American children endured generations later in Indian Schools, and that the Romanov royal family’s children used to roller skate around the palace halls. What fun facts have books taught you? Even though I moved out of my mom’s house and into my own place about eighteen months ago, there’s a moderate-sized pile of stuff still lingering in her basement: A half-dozen boxes full of glitzy prom shoes, a childhood shell collection, hard copies of a few papers from high school I was particularly proud of, faded Girl Scout projects, and other things that managed to survive the severe bedroom/drawer purge that I always conducted the first week of summer. It finally came time this past weekend to begin sorting through it all, in a final purge, deciding what tiny artifacts of my childhood would be kept, tossed, or shelved in the garage for a yard sale. My favorite thing I unearthed, though, was my end-of-the-year portfolios from elementary and middle school–fifth through ninth grade–each folder containing my best writing samples and a few with recorded lists of all the books I had read during that school year. I’ve always been a voracious reader–I remember sneaking in chapters under the covers after bedtime, checking out the maximum books from the library (according to my seventh grade report, I went to the library every Saturday, the entire school year), and reading them all before they’re due, never going anywhere without a book in my bag–but seeing the numbers in front of me, in my own handwriting, was really surprising. It was like having Goodreads stats from ten years back. I was surprised to see I managed to read more books in a school year back when I was thirteen (and definitely at least a slightly slower reader than I am now) than I can read in an entire year! I feel like I’m reading constantly–I read at least an hour every day, if not more–so I can’t imagine how I managed to eat/sleep/go to school/do homework/be a kid and read that much all at the same time! 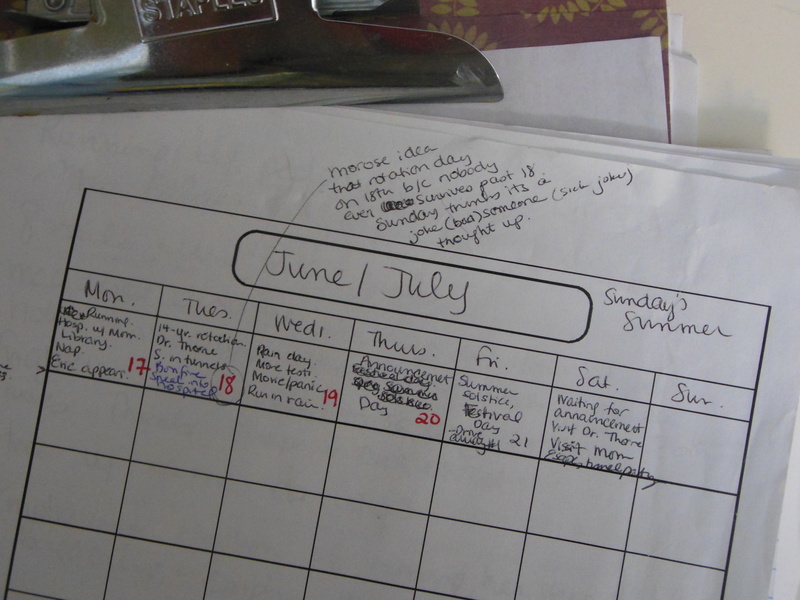 In hindsight, my time management skills (or, maybe, my mom’s, who made sure I got everything done) were pretty impressive. The tiny sliver of my brain that loves numbers (this is a very small sliver, and it’s mostly dominated by my interest in book sale stats, WIP word counts, and my own pathetic bank account digits) wishes I had more records. I’d love to know how many/which books I’ve read in my entire lifetime. These are the only two lists in the folder. I don’t know why there are two separate lists–maybe we did one every semester, or kept a different list for Fall and Spring half years–so the records are a little incomplete. I feel like I must have read more than what’s listed here, but maybe not. 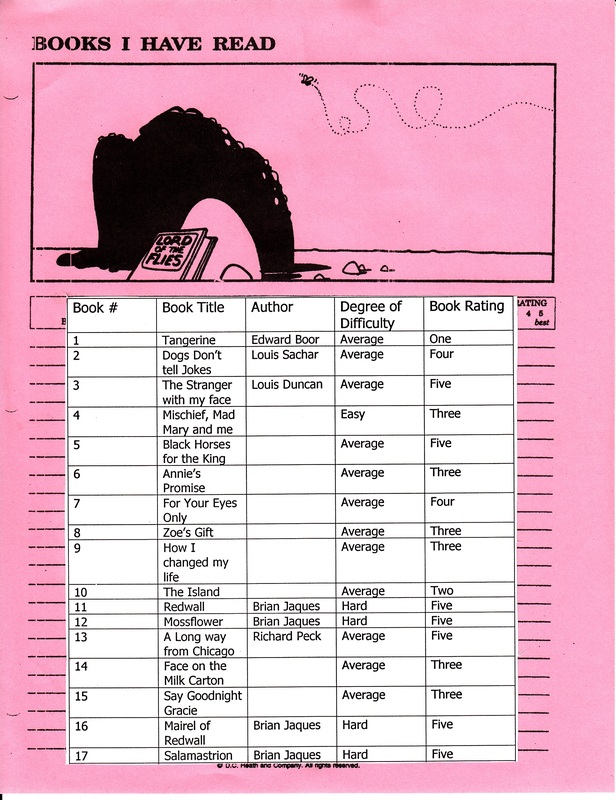 Also, I’m disappointed I didn’t rate the books on this list, but it’s interesting to see whether I picked up a book thanks to a recommendation (either through a friend, teacher, librarian, or the Reading Olympics list) or through my own library perusal. 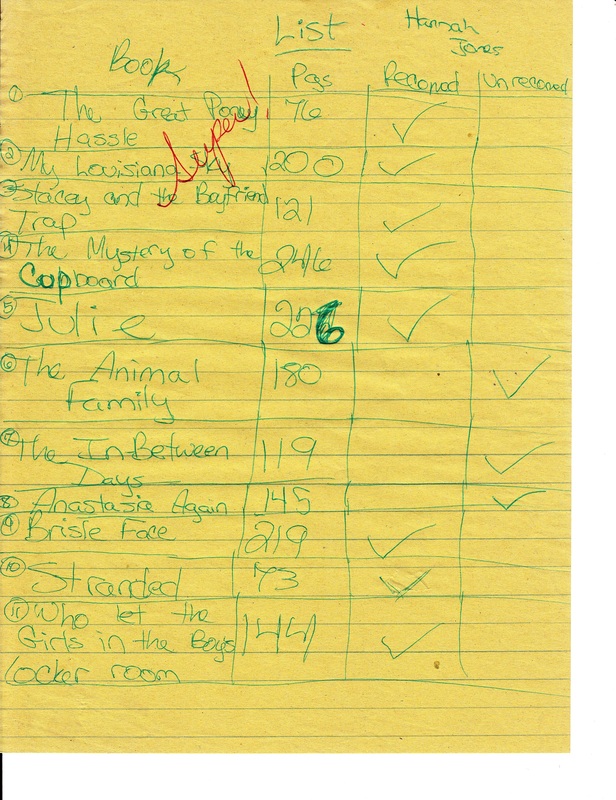 Though completely anecdotal, the list seems to reflect that recommendations are important guides for younger readers (at least, it was for this young reader)! 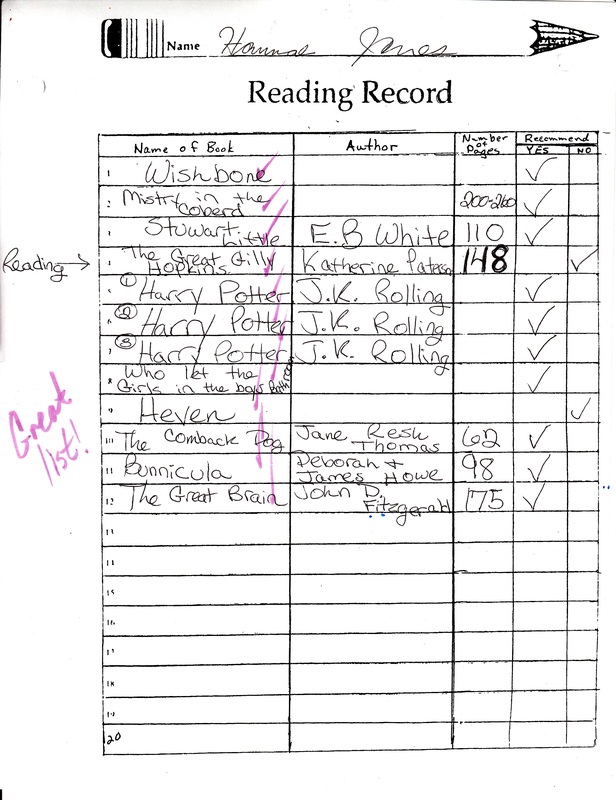 I still remember the moment when Harry Potter was recommended to me in fifth grade that year. I was an after school safety and one of the teachers in charge of the program pulled out one of those Scholastic book fair order packets and pointed out the little blurb and book cover of book one. “Apparently this is supposed to be really good.” I still have the book that arrived a few weeks after my mom offered up the $5 check. Obviously, that set off a reading binge! I begged and pleaded for the second and third books for Christmas and finished both before going back to school in January. It’s funny to see the series I practically ate for breakfast. (Redwall, anyone? Redwall Minecraft (aka “AbbeyCraft”) is in the works!) 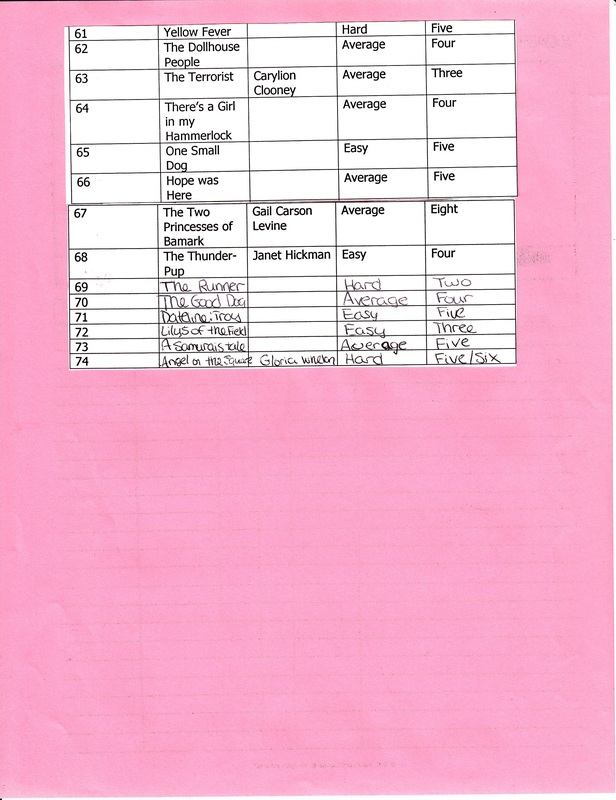 And how I bent the rules (ranking was only 1-5) to satisfy my need to express how I really felt about a book. 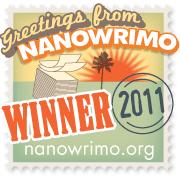 Despite the guidelines, I gave The Red Pony a “negative one”–and I still remember how much I disliked that book, a good indication of how much I would dislike Of Mice and Men in later years, though I did like Cannery Row–and a ten to Ella Enchanted, one of my favorite books of all time. The level of difficulty I gave for Seabiscuit (“Hard!”) makes me laugh because I still remember when my dad gave me that book as a random gift one day and I picked it for that month’s required book report. I had never read a book that difficult before–it was advanced non-fiction–and it wasn’t that it was hard to read, but hard to read on a deadline. I recall panicking to finish the book by the end of the month, struggling through the chapters, needing to look up words I was unfamiliar with constantly. I had never been that challenged by a book before, nor read one so slowly. But the work was worth the effort. 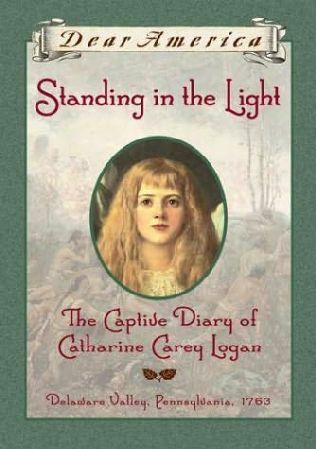 I still vividly recall many of the descriptions in that book, though I haven’t opened it’s pages since I read it TWELVE years ago. I remember the descriptions of the rubber suits that the jockeys would run around the track in, in mid-day heat, to lose weight, and the single leaves of dehydrated lettuce that they’d reward themselves with. 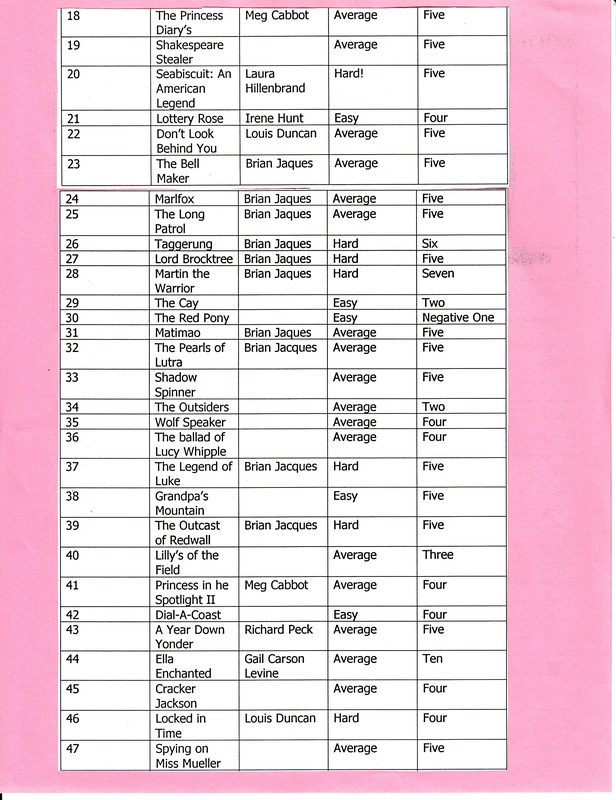 I still remember many of the characters and plots of the books on these lists. It’s kind of fantastic, when you think about it, how books stick with us for so long. Mia from Princess Diaries and Grandma Dowdel from A Long Way from Chicago and A Year Down Yonder. I’ve been interested recently in figuring out my writer DNA, as encouraged by Robin LaFevers and reading through these old lists has been a good way to jog my memory for my favorite and biggest impact books. 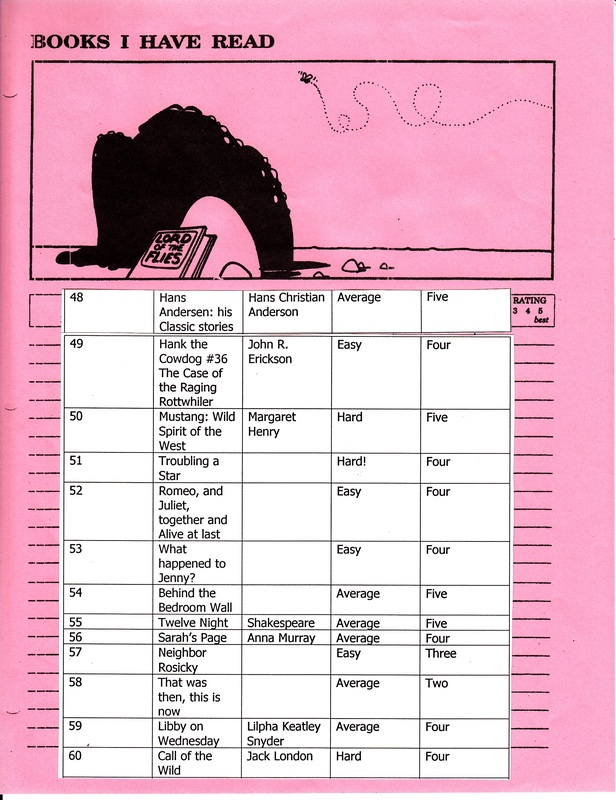 Do you remember what books you read in fifth and seventh grade? Have some of them stuck with you, all these years? Were they your favorites, or the ones you really despised?